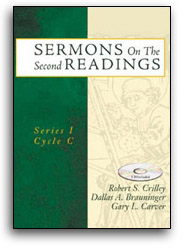 I am not usually a great enthusiast for a series of lessons for any liturgical season. My mind is easily distracted and doesn't seem to be able to capture the rhythm and flow that the author intends. This was not the case with Dee Brauninger's "Lessons From A Dog Guide." I had, and I am sure, will have over and over again, a wonderful time reading her work.